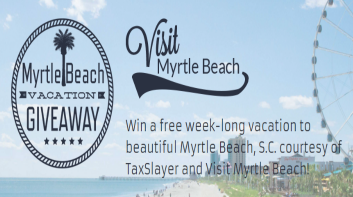 TaxSlayer “Myrtle Beach Vacation Giveaway” Sweepstakes – Win a trip to Myrtle Beach! 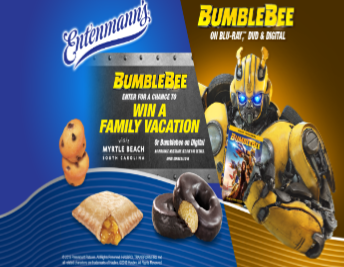 Win a trip for up to 8 to Myrtle Beach (2 winners)! ENTER SWEEPSTAKES HERE – TaxSlayer Sweepstakes page. ENTRY LIMIT – LIMIT ONE ENTRY PER PERSON/PER E-MAIL ADDRESS DURING THE PROMOTION PERIOD. ELIGIBILITY – The Promotion is open only to legal residents of the 50 United States and the District of Columbia who are at least 18 years old as of the date of entry (except residents of AL and NE must be at least 19 years old as of the date of entry). SWEEPSTAKES ENTRY PERIOD – The 2016 TaxSlayer.com “Myrtle Beach Vacation Giveaway” begins at 12:01 a.m. Eastern Time (“ET”) on January 29th, 2016 and ends at 11:59 p.m. ET on April 18th, 2016. 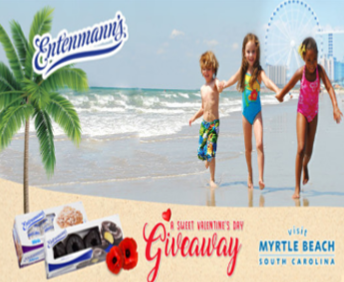 Little Debbie® Fig Bar/Myrtle Beach Giveaway Sweepstakes – Win a trip for 2 to Myrtle Beach! Win a trip for 2 to Myrtle Beach and a $500 American Express gift card! ENTRY LIMIT – There is a limit of one (1) entry per person per day during the Giveaway Period. SWEEPSTAKES PERIOD – The Giveaway will consist of a monthly consumer giveaway promotion to be held during the six (6) month period of April 1, 2015 through September 30, 2015.
and one (1) Grand Prize consisting of airfare for two (2) to Myrtle Beach, five (5) nights’ accommodation at a top Myrtle Beach resort location, one (1) five hundred dollar ($500) Visa or American Express gift card, two (2) tickets to Myrtle Beach attractions, shopping gift cards from local retailers, one (1) free round of golf and equipment rental for two (2), and one (1) merchandise package (which includes a Myrtle Beach cooler and beach towel) (with a total approximate retail value of four thousand dollars ($4,000)). 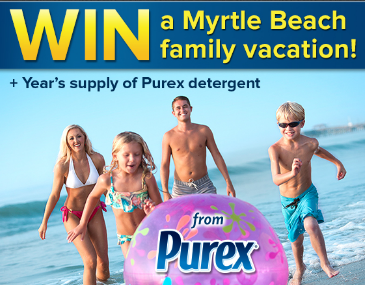 Purex “Start Summer Early & Win a Family Vacation from Purex” Sweepstakes – Win a trip to Myrtle Beach! 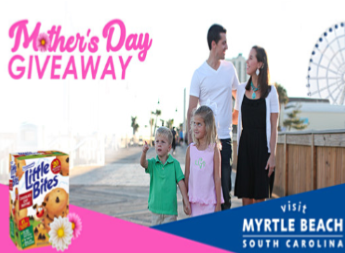 Purex is sending one family of 4 to Myrtle Beach, South Carolina & Crown Reef Resort! This would be an amazing vacation to win! Be sure to look at Crown Reef Resort – I can see all kinds of activites that my family would enjoy! They have a new water park that has just opened. My son would be all about that – he loves those crazy slides and rides at water parks. They also have some beautiful pools and access to the beach. Long walks on the beach with my sweetie would be part of an amazing vacation day. I can just picture a vacation in Myrtle Beach, can’t you? Sunshine, warms days on the beach and fun at the water park. What would be your favorite part of this vacation prize package? Remember, you may enter once a day and if you win, can I join your family?! ENTER SWEEPSTAKES HERE – Purex Sweepstakes page. ENTRY LIMIT – Limit one (1) entry per person, per e-mail address, per day, during the promotion period. All submitted entries must be received during the Promotion Period. ELIGIBILITY – The “Start Summer Early & Win a Family Vacation from Purex” Sweepstakes is open to legal residents of the fifty (50) United States and District of Columbia, who are at least eighteen (18) years old at time of entry. SWEEPSTAKES PERIOD – Sweepstakes starts on or about 12:00 PM Pacific Time (“PT”) on April 2, 2014 and ends at 3:00 PM PT on April 30, 2014.